I am very proud to head up an incredible fundraising team. As a team our biggest motivator is you, we are always inspired, humbled and privileged to be part of your story. Every day we are lucky enough to meet people that wish to support us because of excellent treatment, dignity in death because they would like to help the hospital achieve more. Whatever the reason we are always grateful that people connect with us and wish to invest into the future of the hospital. Our team is much more than just us, as it involves all of you. 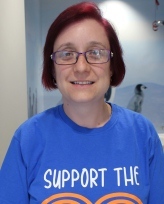 I am the Corporate and Trusts Fundraiser and I joined the team in August 2018. It has been a really exciting time to join the Luton and Dunstable Hospital Charity as we have such a great community foundation to build upon and life-changing projects to fundraise for. 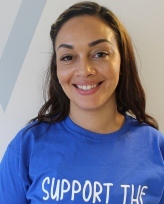 I will be working with charitable trusts and foundations who support various wards and departments throughout the hospital, as well as building relationships with local companies and organisations who would like to support our work. Please do get in touch if you would like to find out more about working with us – we would love to hear from you. 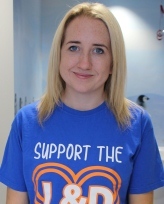 I am the Community Fundraiser at the Luton and Dunstable University Hospital. This year has been a very busy one for the fundraising team, our ambassadors and wonderful volunteers with lots of fantastic fundraising going on in the local community. I would be keen to support any activities you are planning in the community. 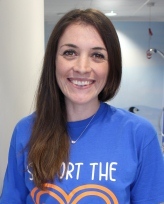 I am the Fundraising Assistant, I get to meet lots of fantastic supporters and work with different departments across the hospital to make sure that donations are processed and donors are thanked.